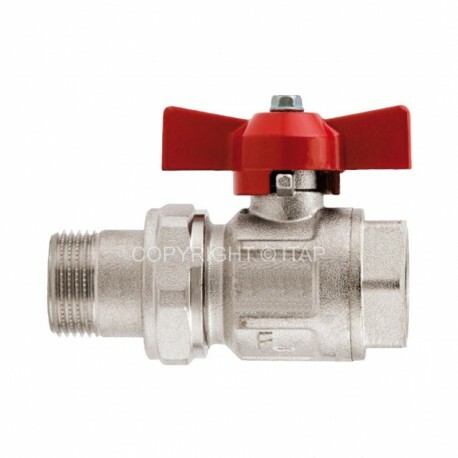 Ball valve 1/2" (DN 15) male/female threads. IDEAL ITAP. Full flow for manifolds. Minimum and maximum working temperatures: -20°C, 150°C in absence of steam. (equivalent to DIN EN ISO 228 and BS EN ISO 228).